Many moons ago, we met and talked about some of the basics of computer programming. Today I’m going to share with you a BASH shell script that I created using publicly available content as I was trying to OCR a couple of PDFs lying on my hard drive. OCR is short for “Optical Character Recognition”. 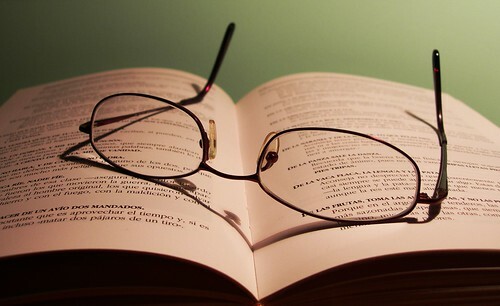 OCR software contains algorithms that analyze photographs/scanned images of books, articles, etc. (i.e. text matter) and convert them into plain text such that it can be copy/pasted or manipulated in various forms. For more on what OCR does, see here. PDFs are ubiquitous these days. And although the file format has been opensourced and standardized, what hasn’t is the way people create PDFs. This gives rise to a plethora of unexpected differences such that two people could create a PDF file from the same input and yet come out with totally different looking PDFs. A lot of this has to do with differences in the way the metadata, layout information, text-layer, embedded fonts, reflow properties, etc. have been stored in the PDF file. For across-the-board accessibility (by people using mobile phones, eReaders, etc.) getting all of these right is absolutely essential. Sadly, many PDFs of eBooks available online (such as at Archive.org) lack these properties and thus can be a pain to read on small screens. 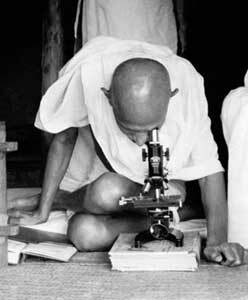 One of the most frequent of problems is that often these PDFs are merely a collection of scanned images of books and articles. And aren’t amenable to note taking, highlighting text, or copy/pasting text, etc. This is where OCR comes into play. Using OCR software one ends up with a file containing text that can then be manipulated to one’s liking. OCR software will obviously omit any pictures or illustrations in its output. This how-to has been tested on Windows Vista Basic and uses free and open-source software. The script will also work on a Linux system. Download and install Cygwin from here. Cygwin provides a Linux-like environment on the Windows platform. The default shell that it comes with is BASH. As compared to DOS on Windows, BASH provides a saner way to create tiny programs that can automate tasks. The commands are easier to read and understand. In the field that says “Start Search”, type “Run” and then hit ENTER. Type sysdm.cpl in the dialogue box that opens. You are now in the Sytem Properties window. Click on the tab that says “Advanced”. Then click on “Environment Variables”. Under “System Variables” scroll down to and click on the entry that says “TERM” and click on the “Edit” button at the bottom. In the box that opens, delete whatever is under “Variable Name” and type cygwin. Click OK and close the box. Then Click OK and close the “System Properties” box. Open Cygwin again and see that the output of echo $TERM give you cygwin as the answer. We’ll need to install a few packages on Cygwin. Install the nano package. Nano is an easy to use text-editor and is more reliable than lame-old Notepad. Notepad can sometimes misbehave and enter invisible control-characters (such as carriage-returns or end-of-files) that Linux systems WILL NOT ignore. Install the tesseract-ocr, tesseract-ocr-eng, imagemagick and ghostscript packages. Tesseract is the OCR software we shall be using. It works best with English text and supposedly has a reputation for being more accurate than other open-source tools out there. Imagemagick is a set of software tools that allow image manipulation using the command-line. Ghostscript is software that Imagemagick will require in order to work with PDFs. Open Cygwin. Right click on the title bar of the window and goto Properties. Check (tick-mark) the boxes that say “QuickEdit Mode” and “Insert Mode“. Hit OK. Ignore any error messages that pop-up. Using nano we will create a BASH script called ocr.sh . This will need to be placed or copied to the directory that contains the PDF file that needs to be OCR’d. Type the following text out manually (exactly as it is) or just copy paste it into nano. After copying text from here, when you right-click inside Cygwin, the text will be pasted inside the window. To save the file hit Ctrl-O. Then hit ENTER. Then exit nano by hitting Ctrl-X. # Created by Firas MR.
# or with color images. Type ./ocr.sh bookforocr.pdf and observe as your computer chugs away 🙂 ! You’ll end up with a file called ocr-output.txt containing the OCR’d data from the book! Imagemagick will use up quite a bit of RAM memory as it works on the PDF. Expect some sluggishness in your computer as it does this. You can convert the txt file into anything you like. For example an EPUB file using Calibre that can then be uploaded to an eReader such as the B&N NOOK :-). One could modify the script to crop, set white-points, etc. for anything fancier. For Windows users who like a GUI, a good open-source cropping tool for PDFs is BRISS. It is a great boon for easily cropping multi-column text matter. Another great tool for the same purpose is Papercrop (although, since it rasterizes its output you notice a significant decrease in quality). A Linux Journal article describes how to find out position co-ordinates for cropping using GIMP. Another way that I discovered to OCR a PDF is to use OCRopus. It claims to have automatic and intelligent layout analysis for dealing with stuff like multiple columns, etc. Alrighty then. See you next time! Feel the OCR power on your PDFs 🙂 ! Hi! Getting the nphelix.so plugin that comes with RealPlayer 11 Gold to work with Konqueror 3.5.9 is downright painful. I figured out a way to make KMplayer work with Konqueror to view RealPlayer files. KMPlayer is nifty in that it can use multiple backend engines – not to mention xine and mplayer. This howto works for Kubuntu 8.04 (KDE 3.5.9). Download and install Real Player 11 Gold for Linux from here. Follow the instructions in this howto to do so. Now grab MPlayer’s binary codecs from here. The download is actually a single zipped file. Use Ark to extract it. Goto /usr/lib and create two folders under /usr/lib – codecs and win32. Now goto /path-to-realplayer-installation/codecs and copy all of the files to /usr/lib/codecs . Konqueror will prompt you that you’re attempting to overwrite. Have no fear! Proceed 🙂 ! sudo ln -s /usr/lib/codecs/* . Don’t forget that dot! It’s not a typo 🙂 . Now we need to configure the xine engine so that it knows where to look for the codecs. Open up Kaffeine. Goto Settings > Xine Engine Parameters > Decoders and enter either /usr/lib/codecs or /usr/lib/win32 in both fields. Click Apply and then OK. We have configured xine. 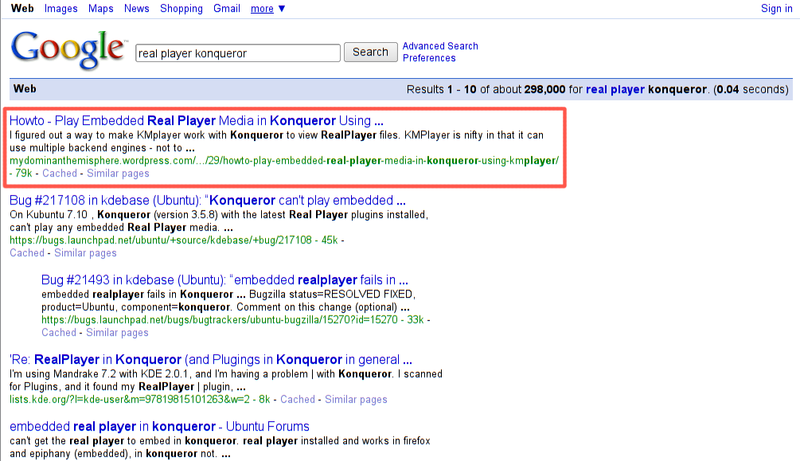 Now we need to configure Konqueror to use KMplayer to play Real Player files. Goto Settings > Configure Konqueror > File Associations. In the list under Known Types click on audio and select vdn.rn-realaudio. Click on the tab called Embedding. Click on Add and select Embedded player for KDE (kmplayer_part). You might be having other selections already in your Services Preference Order. So remember to place Embedded player for KDE at the very top. Repeat the whole thing with vdn.rn-realaudio, x-pn-realaudio and x-pn-realaudio-plugin all of which also lie under audio and for vdn.rn-realvideo which comes under video. Do the same for vdn.rn-realmedia, vdn.rn-realmedia-secure, vdn.rn-realmedia-vbr, vdn.rn-realplay, vdn.rn.realsystem-rmj, vdn.rn.realsystem-rmx under applications. Konqueror is now configured to use KMPlayer to play embedded Real Player media. Click on Apply and then OK. Restart Konqueror. Test it all out! When an embedded media opens up, an embedded instance of KMplayer should start. You can then specify either xine or mplayer as the engine KMPlayer should use for the media. I’ve found mplayer to be more reliable. Note that this workaround isn’t perfect and your mileage may vary. You’ll do alright for the most part though 🙂 . Readers are welcome to send in their comments! Cheereo 🙂 .